Once upon a time, there was a man who used to go to the ocean to do his writing. He had a habit of walking on the beach before he began his work. One day, as he was walking along the shore, he looked down the beach and saw a small boy approaching. As he got closer, he noticed that the child was reaching down to the shore, picking up small objects, and throwing them into the ocean. 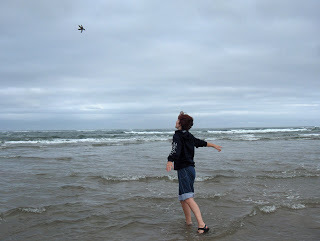 “I must ask, then, why are you throwing starfish into the ocean?” asked the somewhat startled man. That’s what made me sign up to be a mentor. I hope you will consider it as well.